Gadget is any device or program that is very useful for a particular reason. 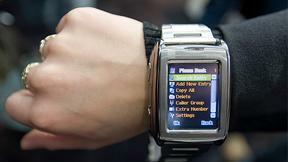 In other words, a gadget is a small technical device or a program that has a distinct purpose, but is often thought of as an innovation in computational words. Gadgets are often used to for lessening the problems and the efforts. This page is specially designed for tech lovers who want to discuss the problems and issues while using different gadgets & applications. Find all questions and answers on Gadgets asked by users including electronics, Palmtops/PDAs, Home Theater, navigation devices, and Mobile internet devices. Explore Gadget section if you need latest information about application & gadgets for iPhone, windows and laptops. If you don’t get an essential help then post your own query. Our expert will provide you with the answer of your problems limited amount of time. If you’re looking for detailed information regarding Google, Facebook, twitter gadgets etc you’re just one step away from it. Check out answered questions section to find your desired information. If you don’t find any answer related to your query, post a quick question for experts to guide you in better way. An expert will answer your query as it comes in the queue, generally in no time, but a delay may be caused depending upon your query. If you are someone who has used a lot of Gadgets and have exceptional knowledge about any one or more gadgets, Maybenow.com would welcome you as a Gadgets expert. Join now to start helping people with their gadgets related queries. How to troubleshoot Nikon COOLPIX S3? HTC One X White Quadcore 32GB Sense 5 JB 4.2.2 Price in Pakistan? Why do batteries discharge at a faster rate in colder weather? What are the most important first steps in marketing a new iOS app? Please answer these Photography Questions?